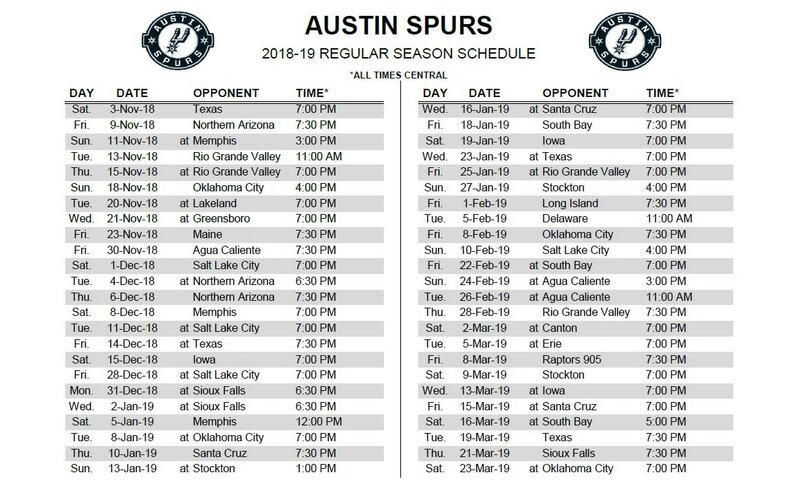 AUSTIN (Nov. 12, 2018) – The Austin Spurs, presented by SWBC, announced today that five of the team’s games will be broadcast live on FOX Sports Southwest (also streamed live on the FOX Sports app), during the 2018-19 season. 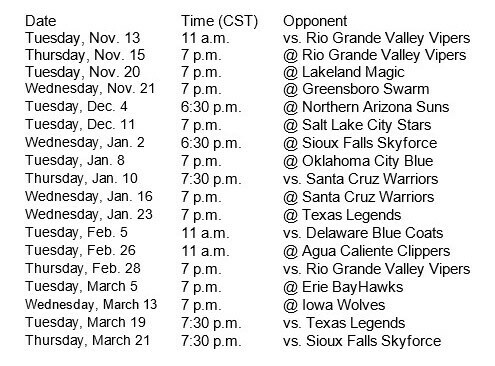 The televised games start on Saturday, Dec. 1 at the H-E-B Center at Cedar Park when Austin hosts the Salt Lake City Stars at 7 p.m. for their annual Scout Night. The full schedule is below. Dan Weiss, new to the San Antonio Spurs broadcast crew this season, will provide play-by-play announcing for all four home FOX Sports Southwest games alongside retired Spur Matt Bonner. The games that will be broadcast on ESPN+ have also been announced. The premium multi-sport, direct-to-consumer video service from The Walt Disney Company’s Direct-to-Consumer and International (DTCI) segment and ESPN will offer multiple NBA G League games per day each Tuesday, Wednesday and Thursday throughout the season.